Amateur photographers starting out soon find there is an overwhelming number of props for newborn photography, from hats to crates to faux furs and everything in between. Building your collection can quickly become an addiction of sorts. If you are just starting your own collection of newborn props, don’t forget the three most important props are the ones not necessarily seen in the photo. These are the backdrop stand, a bean bag, and a space heater. These “background props” will make all the difference in how successful your session is. Choosing which backdrop stand, bean bag, and space heater is right for you takes a few more decisions. Here’s what you need to look for when purchasing your own background props. A backdrop stand is important because it allows you a portable studio. You don’t need to spend a lot of money to get the backdrop stand that works best for you. Here are three different options that are all very effective. This is a very simple and very inexpensive option. If you are just starting out and don’t want to invest a lot of money, this is a great solution, and it works perfectly. This is another great alternative to the metal stand because you can make one yourself. Use it with either a bean bag chair or a basket, and pull the fabric nice and tight over the stand for a professional looking bagdrop that is sure to impress. The next level up is to purchase a metal photography stand. These come in lots of varieties and any of them will work. The one drawback to using these, however, is that there is nowhere to pin the sides of your fabric to. This could cause a the fabric to wrinkle and lead to further post processing work. Bean bag chairs are comfortable for a newborn and can support a number of poses. They come in a varied number of shapes, sizes, colors and fabrics. Here are a few things to look for in a bean bag. A neutral color like white or tan will photograph the best because the colors are not likely to bleed through any fabric. Get the largest size available. This will give you plenty of space to pose the baby safely and allow you to shoot multiple newborns at a time. Steer clear of traditional bean bags which are designed to sink into. You want a beanbag that is flat and full. Fabric should be waterproof and washable. Accidents do happen, especially when dealing with little newborns. It’s a good idea to use two space heaters of different size and heating ability, one that can heat a small room quickly and another smaller one that can be placed near the bean bag and blow on the baby. Here’s more of what to look for in a space heater. Make sure the heater doesn’t get too hot. Make sure your heater has a stable base. Make sure the heater has a fan to blow the heat, rather than a radiator. This allows for more control over where the heat is directed. If you want to learn how to take better newborn photographers check out Silver Bee Photography’s newborn photography workshop. 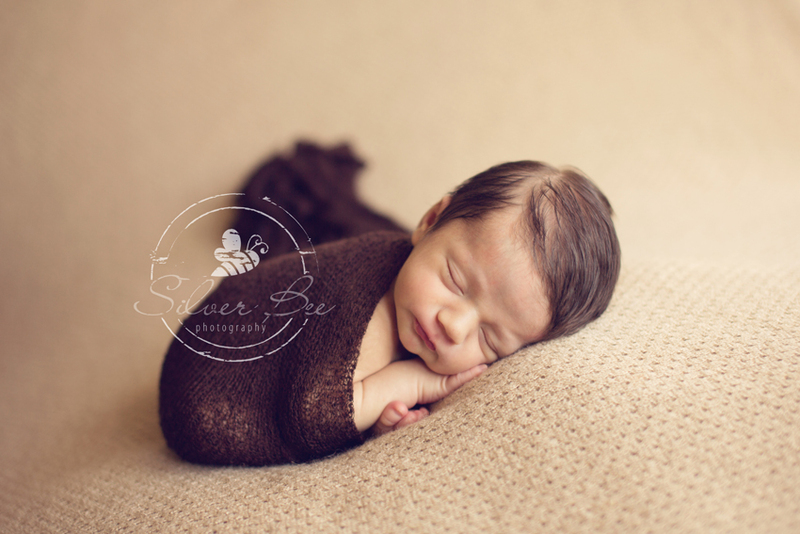 We help aspiring newborn photographers learn tips and tricks in the art of newborn photography. Looking for the best newborn photographer and interested in booking a session? email us here or call 512-522-5031.